Column painting is the best rendition to enhance the design and beauty of columns. The manipulation of appearance in painting faux finish marbles and trompe l'oeil effect is to fit and harmonized the interior decoration. The art of rendering marble with paint and glaze is a time honored craft dating back before the Renaissance period. The ability to recreate the look of various polished marbles today is indispensable to home owners and decorators in search of it's regal and sophisticated look. Besides the fact that many marbles are no longer available, the weight of actual marble as well as it's cost sometimes makes it prohibitive as a viable option in buildings. Faux marble finishes can, when applied by an experienced artist, recreate the look of Alabaster, Cipollino, Travertine, Yellow Sienna, Limestone or any number of authentic marbles. Aesthetically it can be applied to Marble Columns, Marble Panels, Arches, Mantels, Fireplace Surrounds. In short..anywhere your imagination allows. This yellow orange marble was specially design for bathroom, it has five layer texturing such as the orange as the base color and series yellow tones with hatching of marble veins and finish it with highlights. 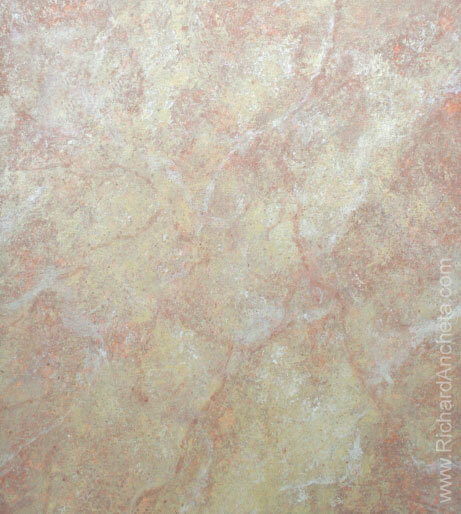 The application of Marble Finishes to surfaces uses a variety of Faux Painting Techniques to authentically replicate and simulate the translucent nature of actual Marble or, as is often the case, create a look of Faux Marble that is more loose and artistic that suggests the appearance of Marble, and at times may be more applicable to larger areas. Marble Finishes work out great for sophisticated focal points like Marble Columns and Marble Panels as well as table tops and moldings. 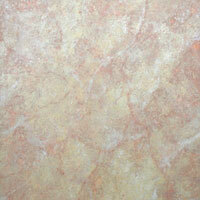 The application of faux finish marble gives a new dimension to its design. This column was applied with trompe l'oeil effect and enhance to fit the color harmony of the interior decoration. Faux painting or Faux finishing are terms used to describe a wide range of decorative painting techniques. The naming comes from the French word faux, meaning false, as these techniques started as a form of replicating materials such as marble and wood with paint, but has subsequently come to encompass many other decorative finishes for walls and furniture.